In McDonough and Macon, debit relief law firm Sampson-Roberts & Associates has the experience, knowledge, and compassion to help you put your debt behind you for good and move forward with your life. Is your debt situation urgent? We offer same-day consultations and same-day bankruptcy filing to help our clients throughout the South Atlanta area seek the protections of Chapter 7 and Chapter 13 bankruptcy. With nearly 20 years of experience, the Sampson-Roberts & Associates bankruptcy law firm, with offices in Macon and McDonough, is well-equipped to help you determine whether bankruptcy or tax relief is right for you. You can be debt free and get your life back in as little as 3 months. You can increase your credit score in 12 to 15 months after discharge. You can purchase a new car after your bankruptcy discharge. You can qualify for a home loan 12-24 months after your bankruptcy discharge. Bankruptcy can stop the threat of foreclosure repossession and wage garnishment hanging over your head. She and her professional support staff will listen carefully to your goals and concerns. 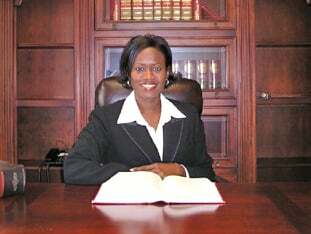 Bankruptcy attorney Lisa Sampson-Roberts has extensive knowledge of all aspects of bankruptcy law. She and her professional support staff listen carefully to your goals and concerns. And they dedicate themselves to helping you reach the solution that is best for you. Discussing your financial situation can be intimidating. It's normal to feel ashamed or embarrassed when you're drowning in debt. Stepping into our offices, you are immediately welcomed by our friendly staff and relaxing atmosphere. We want you to feel at ease and safe in sharing any fears or anxiety you're carrying. We are here to answer your questions and help you explore, with our full support, all your legal options. a dedicated Macon bankruptcy attorney. If you are considering filing for bankruptcy, we can help. Sit down with us to discuss your concerns confidentially at our convenient McDonough or Macon offices. Contact us by phone or contact Sampson-Roberts & Associates online today to take the first step to debt relief. Your initial consultation is free. We welcome Spanish-speaking clients.